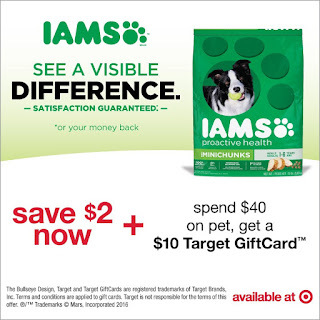 Java John Z's : Save on IAMS Dog Food at Target! Save on IAMS Dog Food at Target! It’s a great time to shop for your pet! Save $2 now, plus get a $10 Target Gift Card when you spend $40 on your furry friend.